Johns Associates was appointed to lead the environmental appraisal of the project and to act as planning agent. As the scheme evolved this led to a significant input into the design process. The project was conceived with the support of the canal owner and operator and is seeking to unlock benefits to the waterway through a reduction in overcrowding facilitating improved maintenance and conservation. Having been presented with an initial proposed design, Johns Associates approached the Local Planning Authority (LPA) for an Environmental Impact Assessment (EIA) Screening Opinion and pre-application advice. Following this advice and the emergence of other constraints, the scheme was redesigned to reduce its environmental impact and increase its commerciality. The Environmental Statement covered landscape and visual, ecology, water, noise, community, transport, heritage, land quality, with only air quality explicitly scoped out. Johns Associates supplemented in-house capabilities with our network of associates where this was necessary, identifying, commissioning and managing these inputs. Through this process, the design was further amended to reduce and/or mitigate for environmental impacts that were identified through the impact assessment process. 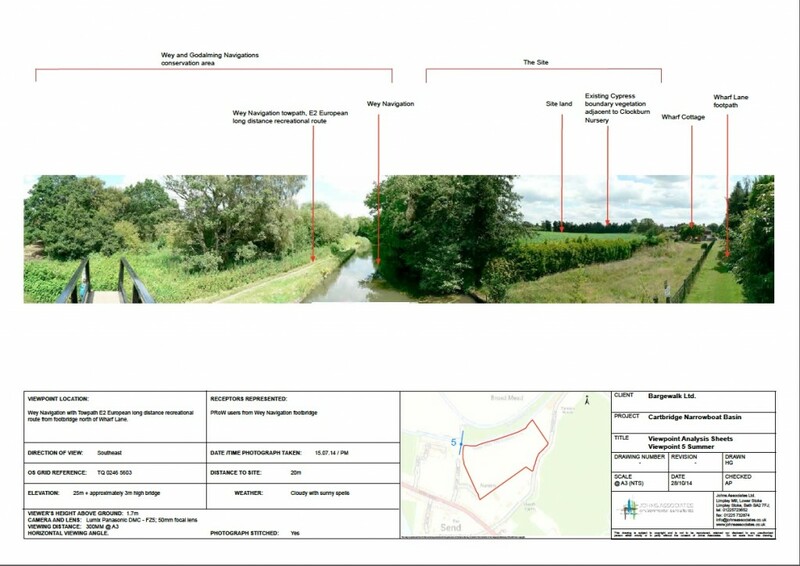 Our work was extremely closely scrutinised, including by the Council’s external consultants for the Environmental Statement and Drainage aspects, and was found to be robust. The planning application was approved at Guidlford Borough Council’s Planning Committee, following representation to the committee by Johns Associates and Planning Officer recommendation for approval. The application had received a large number of objections, but the robustness of the application and depth of technical work lead the councillors to the certain conclusion that the proposal was in accordance with policy and had to be approved.